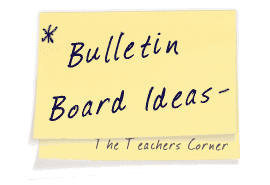 Our July Bulletin Board Ideas page will provide you with great resources for a number of monthly events, holidays and themes. Our bulletin boards will help you integrate seasonal activities into your daily curriculum. Ideas within the July bulletin board pages include resources for the following: Independence Day, watermelon, picnics, summer, and sun. I let the children put glue on bulletin board size paper. I did assist with one big fire work burst in the middle. They sprinkled glitter on all the glue spots, then they dipped the clothes hanger (board) into red, white, and blue paint. They attached a pipe cleaner inside (stuffed a small piece) of paper to hold the pipe cleaner stem into place. And BANG! a really neat fireworks display. Each of the 19 students made a fire cracker and I stapled the pipe cleaner part to the board. I also let them paint red. white. and blue toilet tissue tubes cut them in half and presto that was the border. I worked at a migrant Headstart in Lyons, Ga. My favorite bulletin board idea is that we have 9 children graduating and 6 going to pre-k. My theme was "The class of 2003." I did a drawing of caps and gowns for each child. Then I put their pictures to fit the cap. The kids really got a kick out showing their parents what they had done. They help cut out caps. Please EMAIL us your favorite July Bulletin Board Idea!